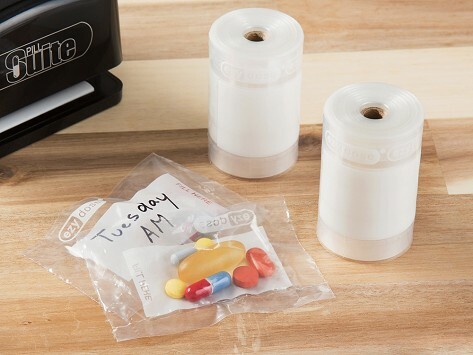 Dispense your pills into small, biodegradable baggies. These 400 packets are perfect for separating your pills and vitamins into simple-to-take doses. You can label the bags, too, if needed. Dimensions: 1.5" x 1.5" x 2.37"
I travel extensively, and these are so easy to take with me. Makes it easy for my husband and I to take our many supplements. And now have my refills. Use it mainly for travel.